Update of this 2010 article originally published July 2010- Stevenson High School has continued its national rank every year and in 2013 was ranked 128. Stevenson High School which feeds from Buffalo Grove, Long Grove, Hawthorne Woods, Kildeer and parts of Vernon Hills has had a great 2010 so far. 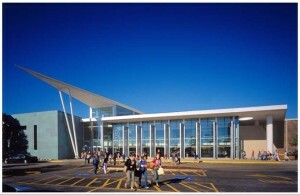 Newsweek’s America”s Best HS 2010 ranked Stevenson HS in Lincolnshire #167. This is the sixth year that Stevenson has made the top 200 list. Located in Lake County Illinois Stevenson is one of only three Illinois high schools to appear in the top 200 in each of the past fave years. Stevenson High School’s 45th year is one of its finest. The Class of 2010 received more the $16.5 million in scholarships. Four seniors were National Merit Scholars and 365 were named Illinois State Scholars. Good Charity work rounds out the spirit of Stevenson with more than $5,000 raised for Haiti. For more information on district 125 and the areas that feed into the school, contact me, Anne Kaplan at 847-401-7904 or email me at Anne.Kaplan@cbexchange.com.